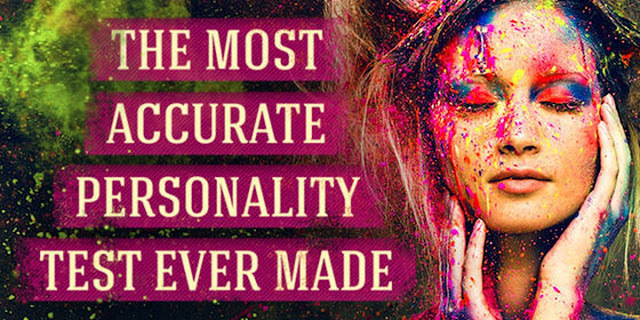 This Is The Most Accurate Personality Test You'll Ever Take. Home » Tips » This Is The Most Accurate Personality Test You'll Ever Take. What True Personality Type Are You? The Renegade: You are a rebel who decides not to play by the rules. You defy all else when it comes to you and your endgame goals. You use creativity to push your limits as far as they can go, experiment with various things that may or may not work, and you know all about the risks involved when conflict comes your way. You are a true renegade, fighting for what you believe in and standing up for what's right. The Traveler: You are a person who cannot be without adventure in your life. You explore every single mystery you come across, love to find new and interesting things you've never seen before, and you absolutely love to share your experiences with your loved ones. The sky is the limit when it comes to you. Just as long as you have your spirit of adventure there isn't anything you can't overcome together! pThe Healer: You like to come up with resolutions for unnecessary conflicts. Your main purpose in life is to make sure that everything goes according to plan. Often times people think you are very shy or are extremely calm. There is an inner fire you have that everyone cannot be without. You are the light in the dark for those who cannot wander alone in this world. More importantly, the world needs you to make sure there is no more negativity for anyone to deal with!